Boats depart at 9:00am, 10:00am or in the evenings at 6:00pm. Each pontoon seats 9 or 10 people. 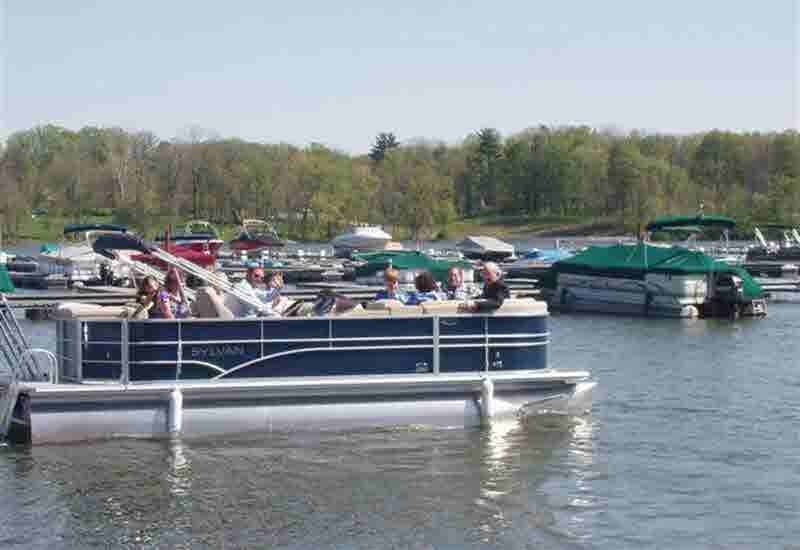 Morse Marina offers eight quality, comfortable pontoons that you can reserve. Availability on weekends and holidays can be limited, so be sure to schedule your boat in advance! Reservations are strongly recommended. 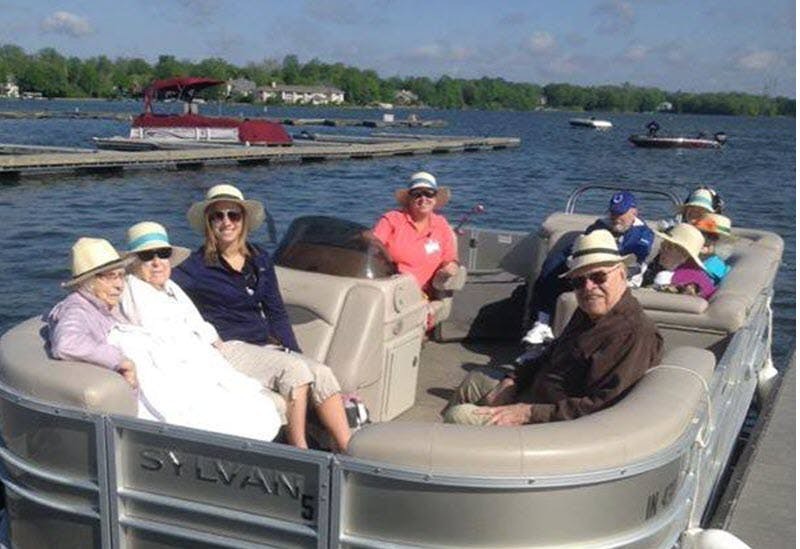 Each pontoon seats 10 people, and allows you to enjoy swimming, fishing and boating on Morse Lake. PLEASE NOTE, DUE TO LOW BRIDGES, NONE OF OUR PONTOONS HAVE BIMINI TOPS. Evening rentals are available starting the Friday of Memorial Weekend and run through Sunday, July 15th. The boat does not come equipped with a cooler, so plan to bring your own to keep your food and drinks cold. (We do sell ice at the gas house, where you will depart from.) If you plan to bring alcoholic beverages, please know that the same rules apply for the driver of a boat as for that of a car. There is also a restaurant on-site where you can choose to dine or call for dockside delivery! Each pontoon boat has a metal plate near the captain’s seat that lists the maximum capacity for that pontoon boat. 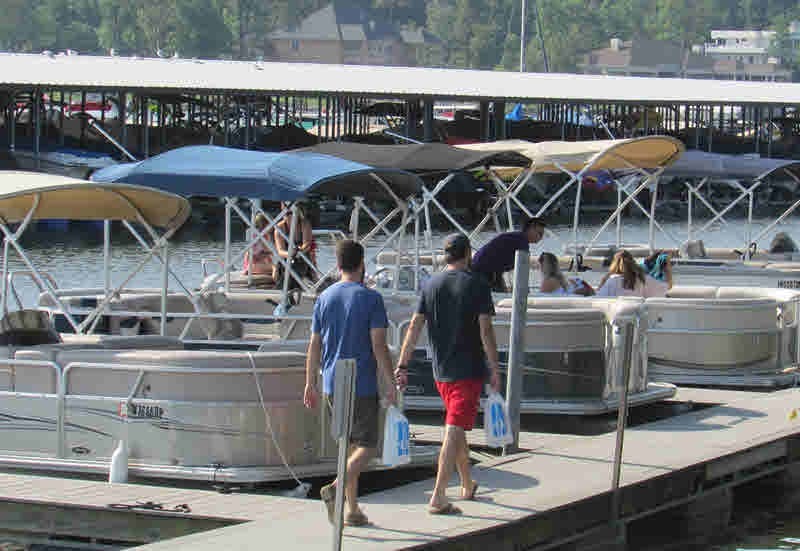 Our pontoons are all rated for up to 10 people. That number is a head count, that includes babies, young children, teens and adults alike. So, even though adults are bigger than kids, 2 small children still count as 2 for the maximum capacity. DNR and the Police monitor the lake. If they stop and check your pontoon and your head count is above maximum capacity, you will be issued a ticket and a fine. Our rental pontoons are NOT speedboats. They are not equipped for speed, but for a fun, relaxing day out on the water with family and friends. 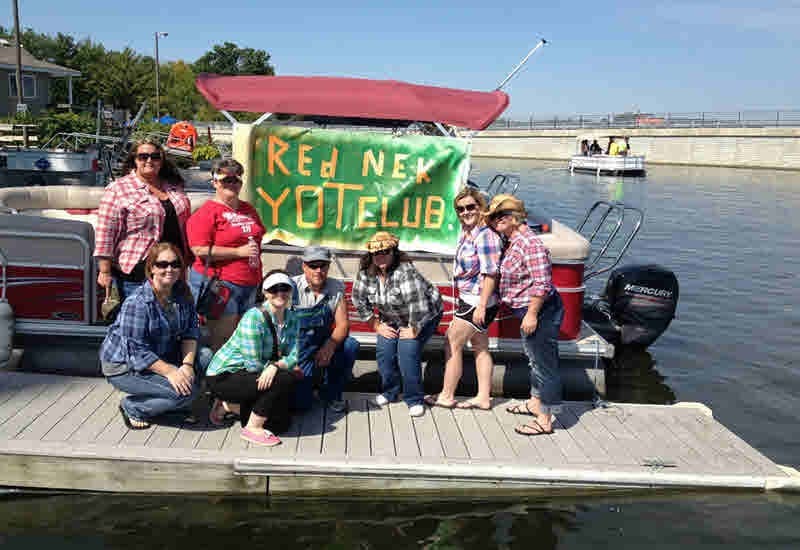 Our boats have a 50HP engine, which is great for cruising around the lake and finding the perfect cove to anchor and enjoy the sunshine.